Stunning Ted Christner contemporary! 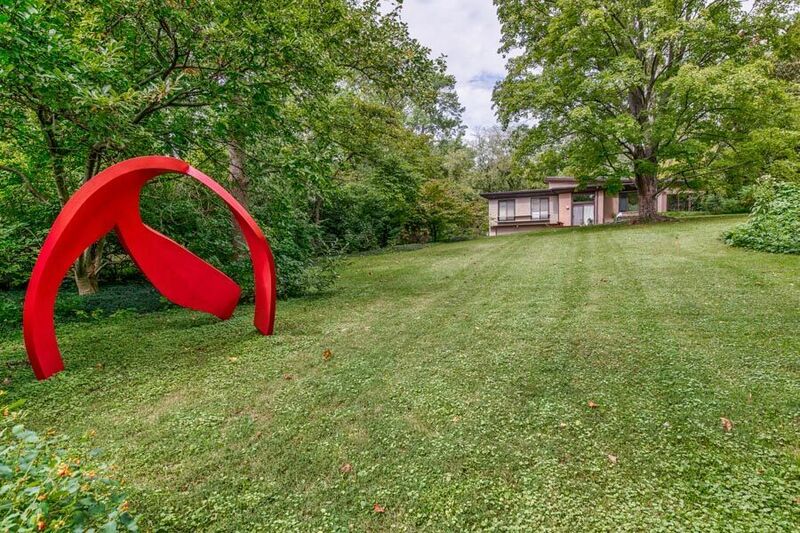 This architectural significant home sits on 1.48 acres backing to Westwood Country Club (private trail through the woods). Custom built with the finest materials from the ground up…no expense spared. Angled walls in every room, flooded with light, perfect flow for entertaining and everyday living…art collectors dream. Walk-in and get ready to be wowed. Step-down great room with exquisite wood wet bar, looks out to the park-like yard with heated pebble tec pool, pool house & professional landscaping. Luxury master suite with “his and her” baths & walk-in closets; step out to the flagstone path to the outdoor oasis. Gourmet kitchen with high-end appliances & granite countertops. Gorgeous library with walnut bookcases, spacious study with built-ins, new laundry room, oversized 3 car garage, finished lower level with large family/rec room, bedroom suite, gym, & tons of storage. This gem is not to be missed…centrally located & impeccably maintained!